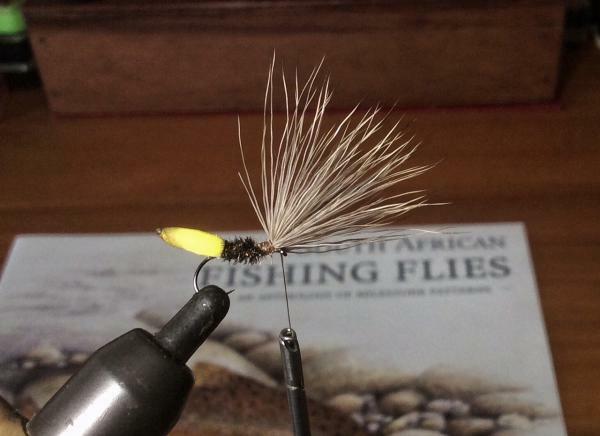 This little terrestrial fly is a combination of various well-known hopper patterns and one that I have used for a number of years. 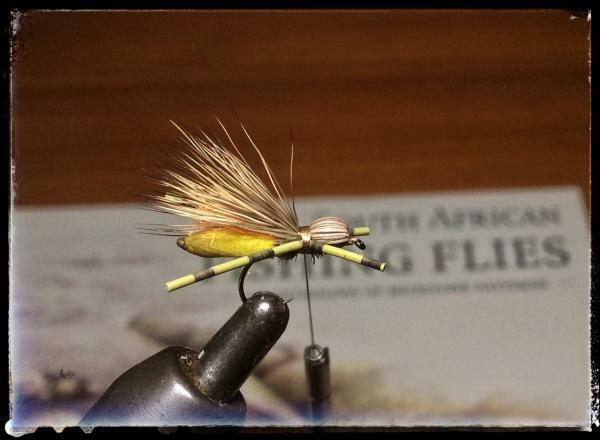 For want of a better name it has simply become known amongst my fishing buddies as, Pete’s Hopper. It has been particularly successful during summer months when many of the naturals are found in proximity to our stillwaters and rivers. It has a distinctive profile that acts as the primary trigger. 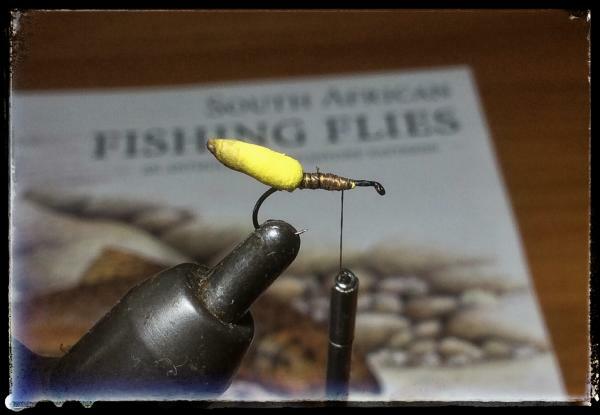 There is no need for a subtle or delicate presentation when fishing hoppers. The naturals generally land on the water with a good plop so the angler would do well to mimic within reason, their crash landing. This disturbance will act as a trigger as will adding movement with the odd twitch to suggest the naturals feeble attempts to swim to the safety of terra firma. Hook - Grip 11011BL or similar in #14 and #16. 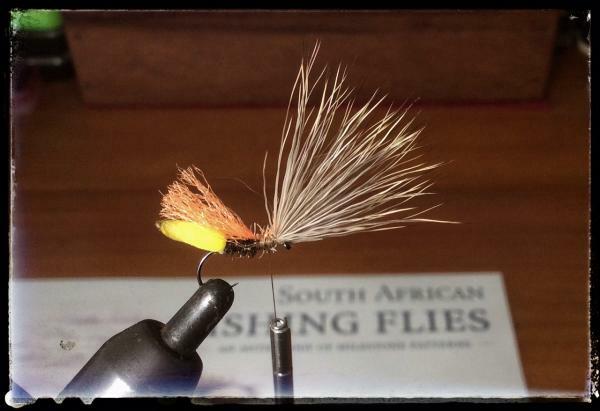 Thread - Gordon Griffiths 14/0 Sheer in brown or tan. Legs - barred rubber legs trimmed to length as shown in the pictures. 1. Dress shank with tying thread, put a drop of super glue at the tie in point of the abdomen and secure as shown in picture 1. Trim any excess foam and cover with tying thread. 2. 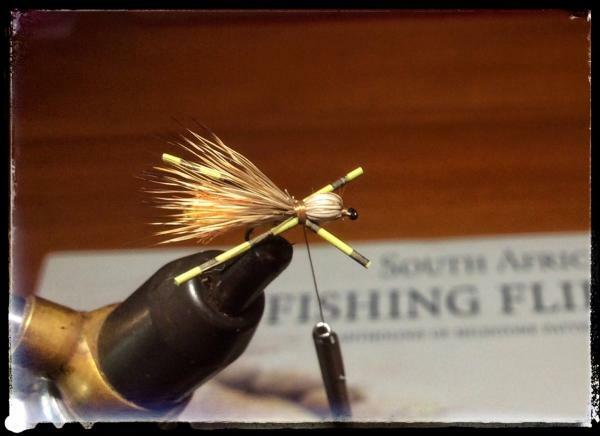 Add an under-body of peacock herl followed by the elk hair over the hook eye. It will later be folded back to form the head and over-wing. A little practice will be needed to ensure the right length for the wing as shown in picture 4. 3. Add the Antron under wing and trim to the length shown in picture 3. 4. Take the thread back to where the neck will be, fold the elk hair back over the body, keeping some tension and take a few turns of thread around the neck. This will form the distinctive bulbous shaped head and spread wing as shown. 5. Add a suitable length of the rubber legs on either side, secure with a couple of tight turns to splay the legs and tie off at the neck with a whip finish. 6. Trim the legs to the required length. The front pair should be shorter than the rear and the rear a little longer than the wing.